Eichardt's history dates back to the gold rush of the 1860s, when Queenstown's founder, William Rees, built a woolshed on the shores of Lake Wakatipu. 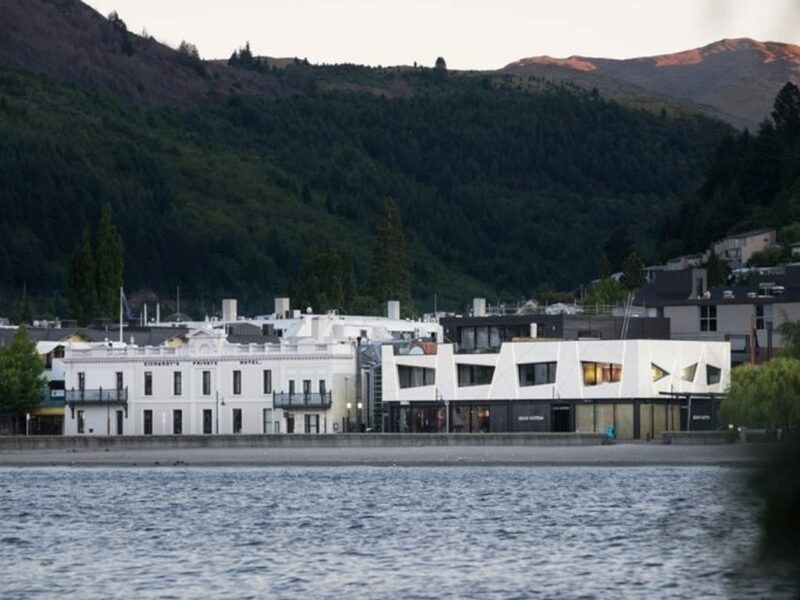 The property now consists of Suites, Apartments, The Residence and a new 2600-sq.-ft Penthouse addition, Eichardt's Private Hotel in downtown Queenstown is one of the larger luxury accommodations in town. However, the size of the property does not mean a loss of focus on luxury appointments, as it provides top service and a great location to explore the town. Dining options include the Eichardt's bar and The Grille- both being great places to relax and people watch, with large open-air windows to the lake. Suites provide either views over Lake Wakatipu, or the town and surrounding mountains. All are equipped with super king beds and personal living space featuring a fireplace and deluxe mini bar. The suites offer a dressing room and bathroom with double vanity, separate shower, heated mirror and floor. An integrated entertainment system and business desk with complimentary WiFi are also included. The apartments are a 250-ft.-walk from the hotel. Perfect for larger parties, multiple couples traveling together and families, they are split-level and can be interconnected to form a large single space. The same great views over Lake Wakatipu and surrounding mountains create the comfort of home while still providing use of all the hotel facilities, including concierge services. The Residence, a short walk from the hotel, is a massive three-level accommodation with three bedrooms and a cinema. Ideal for larger families, on the top floor the master suite has floor-to-ceiling windows, which open to a private balcony. There are also large balconies on the lower floors- perfect for relaxing and central to downtown Queenstown.